As we enter a new century, world affairs have been transformed. The leading countries confront no compelling or immediate major threats of a military sort; they all see the world in essentially the same way; there has been an enormous expansion of international trade and economic interconnections; and rapid technological expansion has facilitated international interconnections that substantially skirt standard political arrangements. This makes possible a reallocation of national effort from security to material concerns and a reasonable prospect for an unparalleled era of prosperity and peace.But less benign forces also persist. Ethnic conflict continues to plague the world, and a new challenge to the international order could be launched by an emergent or resurgent state. Moreover, the positive prospects of the global economy are not yet available for all nations. 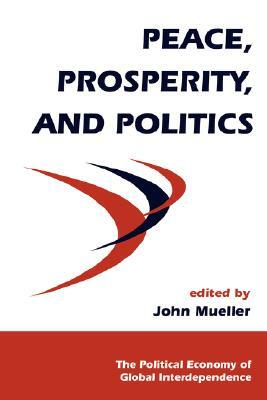 In result, politics - political choice - remains important.In this book, a group of political scientists, economists, and historians assess these important developments. They agree that important historical changes are occurring in international politics, but they differ in their perspectives and proffer different speculations about the new era and about the consequences of the emerging relationship between politics and economics. They also vary in the degree to which they are optimistic or pessimistic about the way things appear to be going.